The Pie Top arrives for March Madness. Of the many challenges our country currently faces, few demand quick action like the inconvenience of ordering a pizza. Fortunately, the people over at Pizza Hut are forward-thinkers and have figured out a way to make sure you never have to push through an order on a phone or computer ever again. 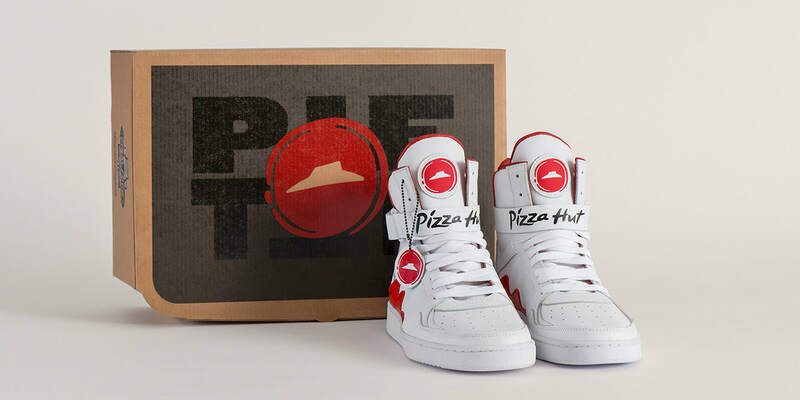 Today, Pizza Hut introduces the Pie Top, limited edition sneakers that use geolocation technology to allow wearers to have pizza delivered to wherever they are. 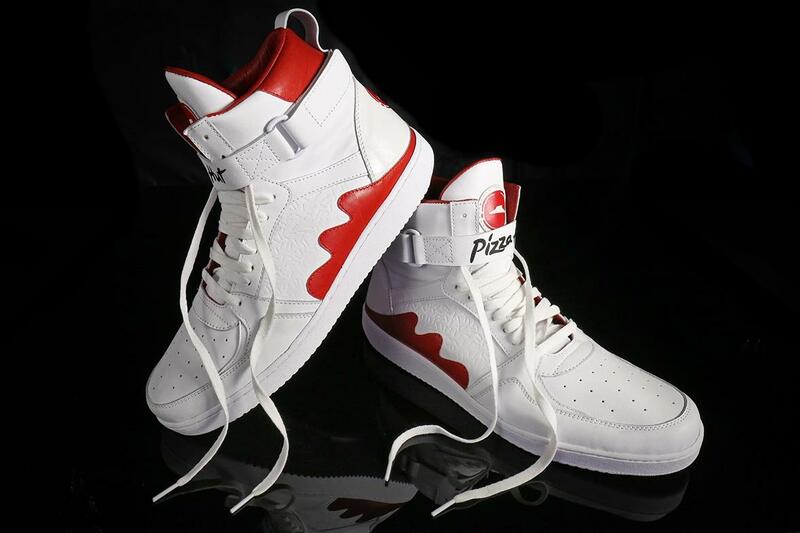 The work of noted customizer the Shoe Surgeon, the sneakers feature a "button" on the tongue that can be pressed to connect with the Pie Tops app — not the standard Pizza Hut app. The Pie Tops coincide with the Droga5-created campaign featuring basketball legend Grant Hill promoting $7.99 two-topping pizzas for March Madness. For the occasion, only 64 pairs of the sneakers were created, most being sent to taste makers and media. A wider release is not expected at this time.